The Nasib Border Crossing was reopened in October when southern Syria was recaptured by the regime writes Al-Hal. 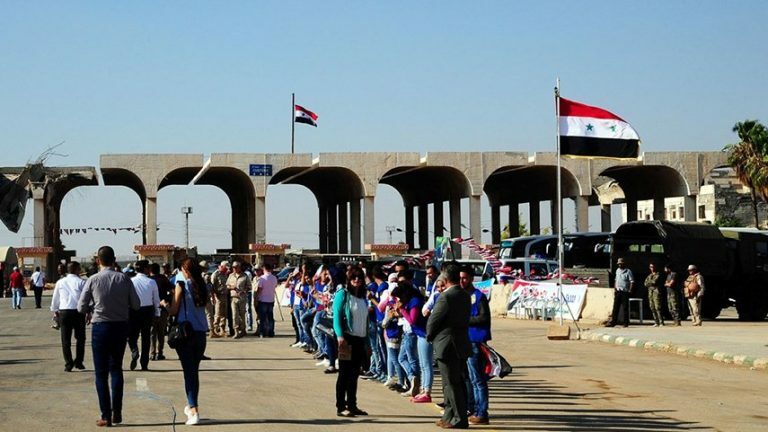 Amman announced that about 28,000 Syrian citizens have returned to their country since the reopening of the Nasib Border Crossing between the two countries, which had been closed for while the opposition controlled the southern region. The Syrian regime and authorities in Jordan agreed to reopen the crossing about 50 days ago, despite the political differences between the two countries. A spokesman for the refugee commission in Jordan said, “Surveys conducted by the commission indicated that eight percent of Syrian refugees in Jordan intend to return home next year,” according to Anadolu. The commission’s numbers indicate that there are 674,000 refugees in Jordan, 19 percent of them in camps, while the number of Syrians in Jordan as a whole is as high as 1.3 million. Out of the 28,000 who returned over the last two months, the number of refugees is estimated at just 3,400, according to the Director of Refugee Affairs at the Jordanian Interior Ministry in a government television statement.